Are you the ones who want to try something new? Today I want to share with you my impressions of a relatively recently appeared on sale device, SMOK MAG Kit with TFV12 Prince Tank. Here is the latest SMOK MAG Kit! It consists of a new MAG fashion with a TFV12 Prince tank. Powered by dual 18650 batteries, the MAG can achieve a maximum output of 225 watts. The MAG has a unique Lock N Load design for installing the battery. Along with the appearance of the gun, a unique flower-shaped button and trigger-like fire key, it feels like a real weapon! The updated HD UI also provides an easy operating system. 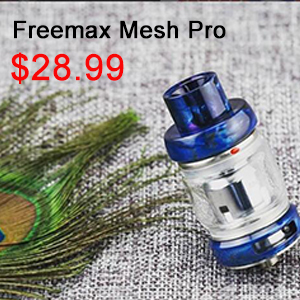 SMOK TFV12 PRINCE is the last tank with clouds from the TFV12 series. Prince TFV12 takes a Cobra resin drip tip and a convex glass tube up to 8 ml. Adjustable bottom airflow with new evaporators Q4, X6 and T10 brings intense aroma and steam. 9 colors for your choice. 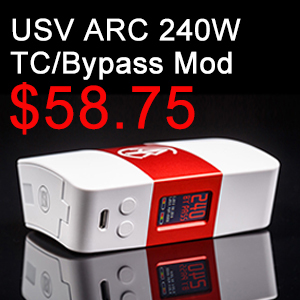 SMOK MAG 225W TC Box Mod measures in 92 x 65 x 30 mm. 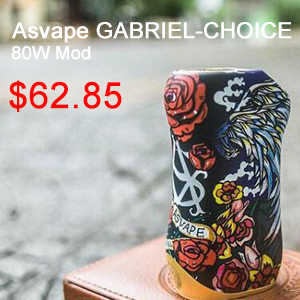 With an ergonomic design, the magnetic mod is comfortable in holding. 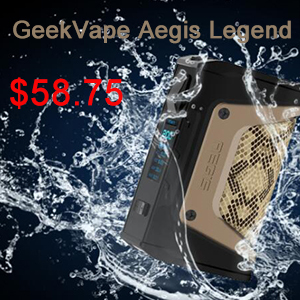 Works with two 18650 batteries, and a maximum output power of 225 watts. Supports TC / VW / Memory modes. It is perfectly combined with the TFV12 Prince tank, with a powerful output and a massive cloud. Available in 9 colors. Including the Revenger TC Mod and the NRG Sub-Ohm Tank, the Vaporesso Revenger Starter Kit is a high powered and advanced device. The output power of Revenger Mod can reach up to 220 watts. The Vaporesso Revenger mod is supported by the OMNI Board 2.0. The large 0.96″ OLED display screen on the mod has a detailed interface. The Revenger is powered by two high amp 18650 cells (sold separately) and can be charged through the front micro USB port. The mod features an in-mould labeling case on the aluminum alloy construction which provides greater wear resistance and quality. The all metal tactile fire button gives users a comfortable all day vaping experience. The OMNI Board 2.0 is a comprehensive board that guarantee a consistently reliable performance with a scientific touch. The OMNI Board provides six output modes: Temperature Control, Smart VW, CCW, CCT, BYPASS, and TCR. It can handle almost any coil that you can throw at it. The CCW function allows you to customize the curve of wattage. You can select the output for every 0.5 second of the first 5 seconds to get maximum pleasure with least ramp up time. CCT function allows you to customize the curve of temperature. It provides a consistent performance when you use temperature control coils. The Vaporesso NRG Sub-Ohm Tank has two versions (5.0ml / 2.0ml). 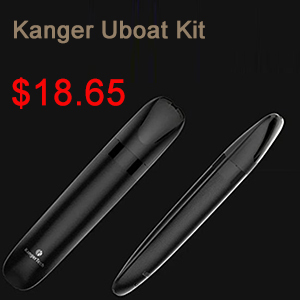 With a variety of quality of life improvements, the tank greatly enhance your vaping experience. The NRG features a convenient slide-n-fill structure which makes refilling simple and easy. The NRG features a unique mesh drip tip to help avoid spit back. The bottom heat insulation layer helps reduce heat. Vaporesso NRG GT Core atomizer heads on the NRG utilizes is designed for variable wattage. The Vaporesso Revenger Starter Kit is quality, smooth and nicely machined. It is worth to buy. And the kit now is on a discount at Urvapin. Don’t miss it! Today we are talking about a novelty from the company Joyetech with a variety of functions – the CUBOID Pro Box Mod. Box mod with a touch screen have long been a rarity in the modern wapping industry. Many companies have tried their hand at manufacturing devices of this class, but such products have not yet caused a proper response from the community. Nevertheless, manufacturers do not learn from their mistakes and continue to produce devices with touch screens, while trying to “cram” as much of the necessary and unnecessary functionality in them. The well-known company Joyetech already has a sad experience with its OCULAR & OCULAR C and CUBOID TAP, but this fact did not prevent it from presenting its new boxmode, which is such a symbiosis between the two above mentioned devices. So, meet, Joyetech CUBOID Pro Box Mod. Joyetech CUBOID Pro is the latest development of the company Joyetech, endowed with all sorts of features that most users will like. In any case, say engineers from Joyetech. Boxmod got a pretty pretty design and a lot of different color solutions. 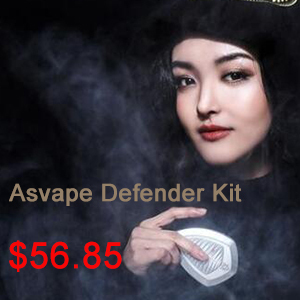 The device is delivered separately or with a non-serviceable ProCore Aries tank, which we already saw earlier in other boxmodes from Joyetech. Today we will pay attention to fashion. The CUBOID Pro, by tradition, is made of metal, and the side panels are made of glass by analogy with modern mobile phones. Boxmod in addition to the touch screen, which we’ll talk about below, is equipped with two buttons “fire”, one of which, like a screen, is a touchscreen, and the second is a classic “push”. The device operates on two 18650 batteries, and the maximum output power, according to the manufacturer, is 200 watts. CUBOID Pro has a board with all the familiar functionality and a lot of different hover modes, including thermal control and all its possible variations. In addition, there is also an integrated vibration monitor, designed to respond to pressing the touch button “fire”. The main distinguishing feature of this device can rightfully be called a fairly large touch screen with a resolution of 320 * 240 pixels and a diagonal of 2.4 inches. The screen itself is made using TFT technology, which in practice means not very high-quality image. In addition to the standard information related to hovering, this display can also display time, date, as well as wallpaper or “screensavers”. The user can install and modify the latest display options himself, uploading his own pictures to the device. The screen in Joyetech CUBOID Pro can display both the counter of puffs, and, attention, the number of steps passed. Yes, the company Joyetech built in its box mod pedometer and, apparently, sincerely believes that someone will really use the device for waking up as an aid in fitness. But the box mod is really good, so it’s a connector and a landing pad for atomizers. In this case, the connector is not quite customary for the company Joyetech way and has a somewhat unusual look. As for the diameter of atomizers, which will look harmonious on this device, everything is quite fine here and you can safely use “atoms” up to 25mm.